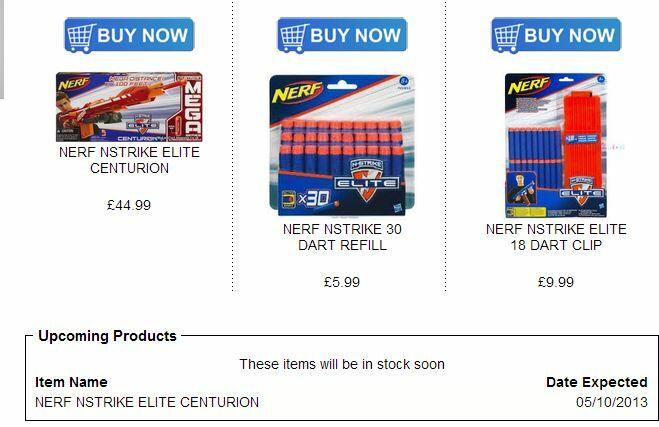 A UK site lists the Mega Centurion coming out 5/10/13, but a May release wouldn’t make sense because we would have been seeing advertising for a big Nerf product coming out a month from now. If you instead use 10/5/13 as a release date, October 5, 2013 makes more sense for a product coming out. 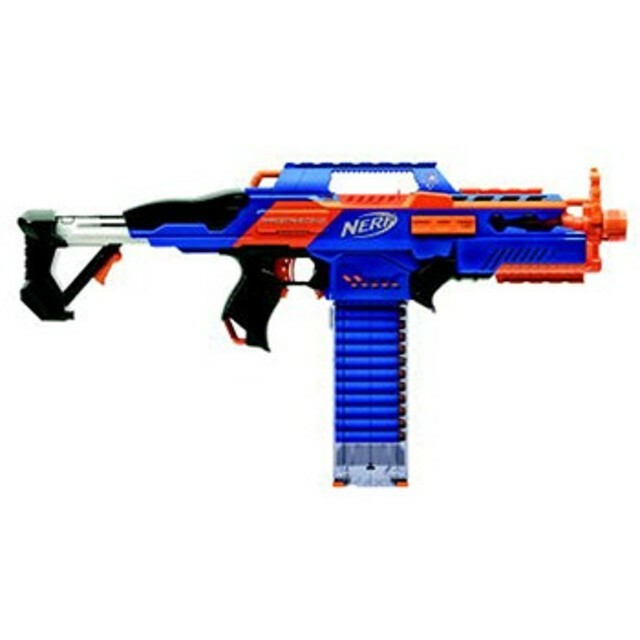 The image their also using on their site is from MyLastDart’s website, which makes their listing a bit shady in itself. Le pistolet lance-disques Revonix 360 est le plus puissant de la gamme! Il tire à plus de 20 m! Une capacité de stockage de 30 disques pour des tirs en rafale! La crosse est ajustable et le chargeur est rotatif! 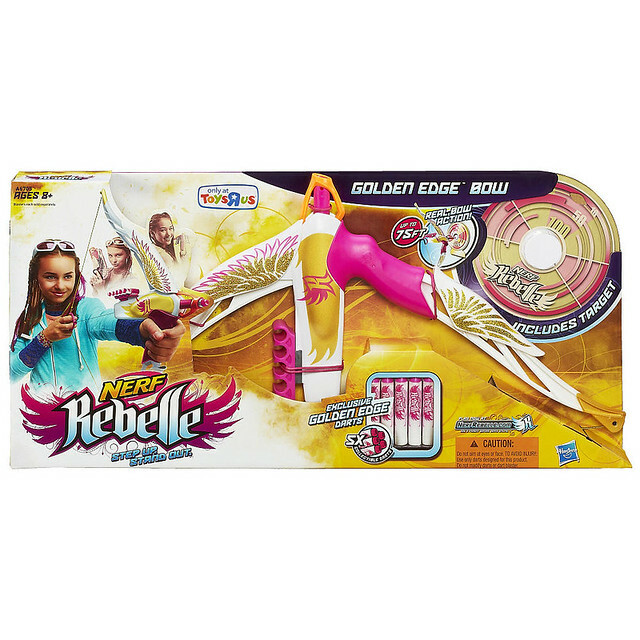 Gun launcher discs Revonix 360 is the most powerful of the range! It takes more than 20 m! A storage capacity of 30 records for firing burst! The stock is adjustable and the charger is rotating! What caught my eye about this new description is a new mention of a stock and the removal of the 3 disk shooting mentioned in the old description. The image on the Nerf wikia seems to support this new claim, and it’s been up on the page for a decent amount of time. 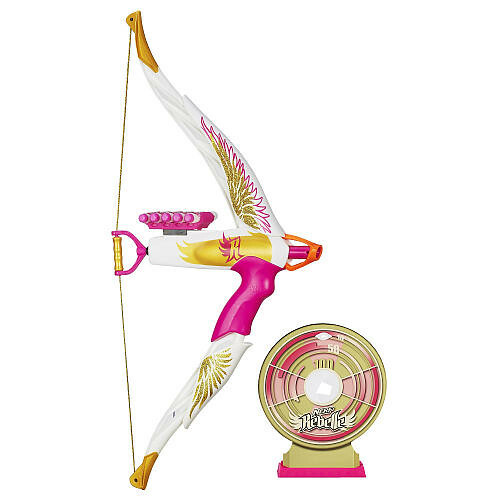 I’m not sure exactly where the Nerf Wikia got this image from, but the Revonix360 part of the image seems to match up fairly well with the NYC Toy Fair 2013 photos and videos. 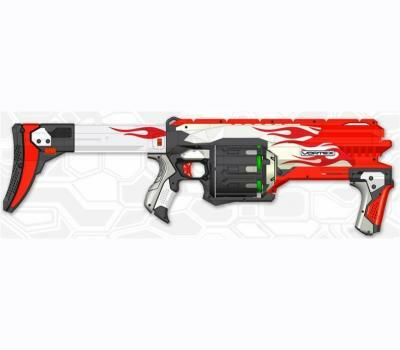 If the above image is real, the stock looks very similar to the Raider’s stock, but instead of a sort of tube that the Raider stock was adjusted on, this one looks more square and less rounded. The shoulder area also looks longer and more curved then the Raider stock. I’ll try to find out where this image came from and how credible the source is, but until then what do you think of this news? This was shared on my Facebook page recently. 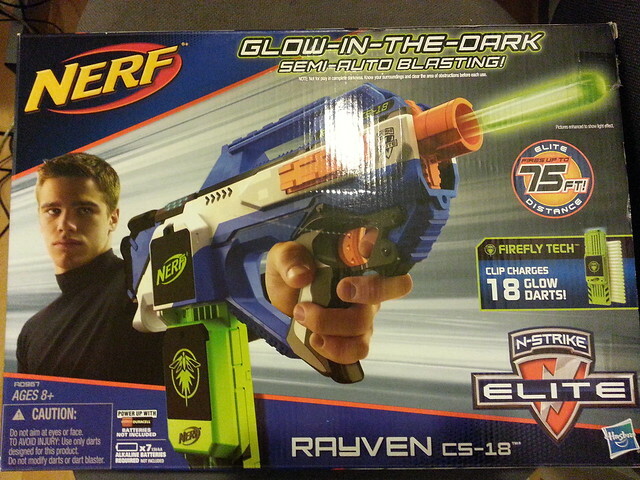 It seems that once again another school’s HvZ has gotten reduced, and not just in quality, but play area size as well. Here’s a portion of the article that I quoted. College officials argue, however, that the sight of students running with blasters through campus has raised concerns among some students and faculty. In the wake of recent school shootings across the U.S., gun violence has become an increasingly sensitive issue, said Benjamin Quesada, student life coordinator at Napa Valley College. This semester, officials are requiring players not to use foam dart blasters, and to keep the game restricted to smaller, separate areas of campus. Instead of dart blasters, players may use rolled-up socks or little cloth bags of bird seed, which are similar to bean bags, Quesada said. The areas of play will be limited to sections of campus that are farther away from classrooms and will be coned off and have signs indicating that a game is in progress, he said. 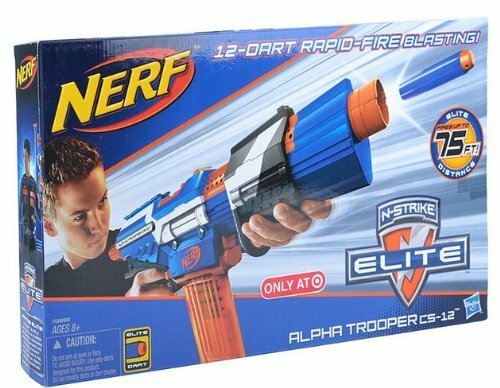 I asked what we as a Nerf & HvZ community could do to help, and all that was requested was that we share this news link with others and keeping spreading the word on the struggle. View all the article here. 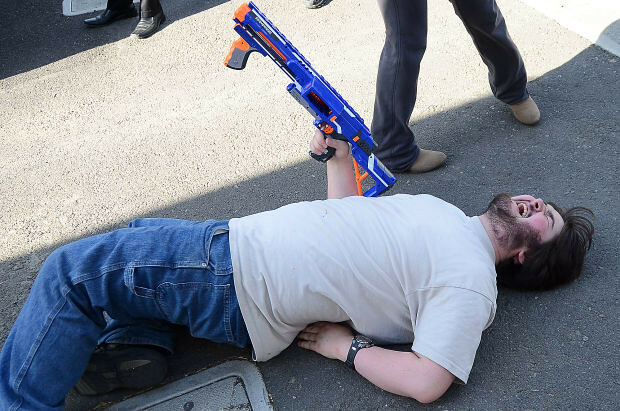 View the Nappy Valley College HvZ Facebook page here.